(CNN) The Philippines has suspended its large-scale dengue vaccination effort amid the surprising results of a new study conducted by the vaccine’s manufacturer. On Wednesday, French pharmaceutical giant Sanofi Pasteur published clinical trial data showing that its dengue vaccine, Dengvaxia, could have unintended consequences in patients who had never been infected with the mosquito-borne virus. On Monday, Harry Roque Jr., a spokesman for Philippines President Rodrigo Duterte, announced that the Department of Justice would launch an investigation into the fast-track approval of Dengvaxia by the previous administration. Assistant Health Secretary Lyndon Lee Suy said his agency would work with the Department of Education to monitor all recipients of the vaccine for adverse health effects. “We will leave no stone unturned in making those responsible for this shameless public health scam which puts hundreds of thousands of young lives at risk accountable,” Roque said Sunday. In a statement, Sanofi said it would “continue to seek constructive and transparent dialogue” with the Food and Drug Administration of the Philippines. More than 730,000 people in the Philippines have been vaccinated with Dengvaxia since April 2016, when the World Health Organization first recommended inoculating anyone 9 and older living in high-risk areas. 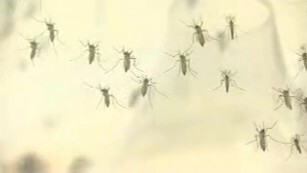 Ninety percent had already had dengue, the country’s Department of Health said. Still, the vaccination campaign in the Philippines continued until last week. Dengue is a viral infection transmitted by the Aedes aegypti mosquito, the same insect responsible for spreading Zika, chikungunya and yellow fever. The WHO estimates roughly half of the world’s population is now at risk of contracting the virus and that 390 million people are infected every year. Only about 25% exhibit any symptoms. Symptoms of dengue include high fever, headache and eye pain, as well as joint, muscle or bone pain, according to the US Centers for Disease Control and Prevention. The CDC says to “go IMMEDIATELY to an emergency room or the closest health care provider if any of the following warning signs appear”: severe abdominal pain or persistent vomiting; red spots or patches on the skin; bleeding from the nose or gums; vomiting blood; “black, tarry” stools; pale, cold or clammy skin; or difficulty breathing. Extreme cases can bring internal bleeding, circulatory failure, shock or death. While the review of Dengvaxia is carried out in the Philippines, Sanofi has proposed a “label update” to recommend that people who have never been infected with any strain of dengue not be vaccinated.